Which energiser should I choose? How does an energiser operate? Are energisers and electric fences dangerous for animals? How many joules should an energiser provide? How many volts should an energiser have? Which energizer for what animal species? 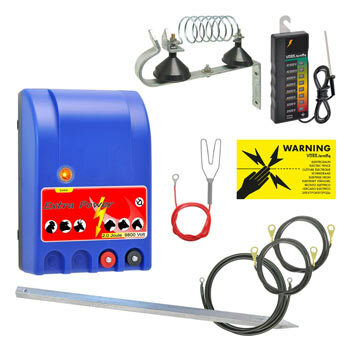 One of the most important - if not the one most important - component at an electric fence is the electric fence energiser. It provides the electric pasture fence or electric pet fence with electricity and guarantees the safety of your animals. You can find all kinds of affordable electric fences for purchase online but it is important to choose carefully. You need to consider the type of fence, the requirements for it, the type of animals which need to be guarded and the budget. 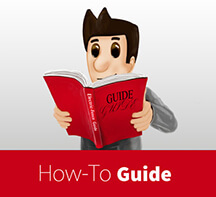 The following guide will answer some important questions. Which electric fence is suitable for which type of animal and which requirements? What needs to be considered at the purchase to ensure that the fencing equipment meets those requirements? 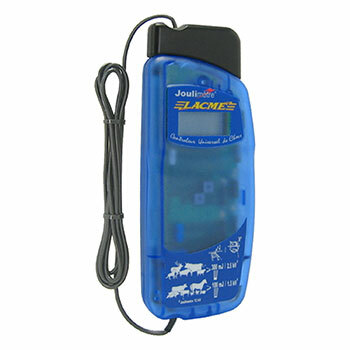 Which electric fence energisers are suitable for beginners and which ones for professional users? Before you choose and purchase an energizer, you should ask yourself this important question: How does an energiser operate and what is their purpose? All these components connected create a system which ensures that animals are contained and guarded by a fully functional electric fence. 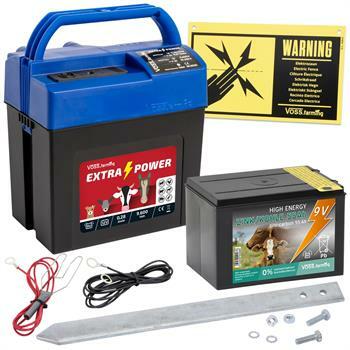 The most important item is a powerful energiser as it is the heart of any electric fence system. 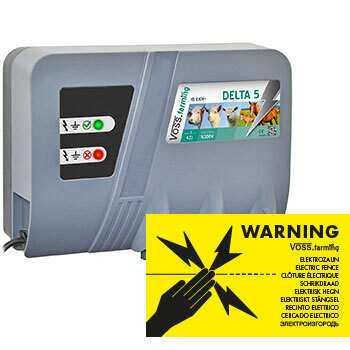 An electric pulse is released by the energiser via the connection cable and gets further transported via the conductor material like tape or polywires. The fencing material ensures that the entire fence is supplied with sufficient electrical voltage. If an animal - which is enclosed by the fence or tries to get inside the fence - touches the fence, it will receive a brief but strong shock. This happens because it closes the previously open electric circuit by touching it. The shock is meant as a deterrent, whereas animals usually "learn" from the electric shocks and do not attempt to escape or destroy the fence again. The electricity flows through the animal's body into the ground and via the ground rod back to the energiser. No, because fences and chargers are tested for their safety and used in a way which ensures risk-free functioning, if used correctly. The harmless electric impulse is short and intensive, yet effective. The duration of the shock is about 0.1 to 0.3 thousandths of a second (miliseconds) and the pulses are repeated about every 1 to 1.4 seconds. As soon as the animal moves back from the fence and the contact to the fence is broken, it will not receive any further shocks. When erecting the fence, it is important to make sure that connectors (instead of tying knots) are used for an appropriate connection of the conductors and to ensure that the fence functions properly. The power of the fence and its reliability depends on the currrent and the voltage. This brings us to the next subject. Or in different words: How powerful should the energiser be? Every energiser, thus every electric fence gets supplied with electric energy. This energy is expressed in joules. Here we differentiate between stored energy (in the energiser) and the pulse energy (the fence pulses). As the name already suggests, the latter is responsible for the actual output power, the strength of the pulses. The device is supplied with energy, whereas the energy balance depends on the resistance measured in ohms. The energiser and conductors should have as little resistance as possible so that they don't use up too much energy for themselves and affect the performance of the fence. The joule-rate indicates how strong the shock pulse is, which the animals are exposed to when touching the fence. Too high a number is dangerous for small animals, whilst large animals won't sufficiently notice too small a pulse strength or could get used to it. The EU specified a maximum joule rate which mustn't be exceeded. A maximum of 5 joules is allowed for animal contact. the animal species: which animals are to be fenced in or out? what are the soil and vegetation like? length: how big is the area that needs to be fenced and how long is the fence to be? how complex is the electric fence - how many rows of wire, insulators, connectors? which conductor material has been chosen? 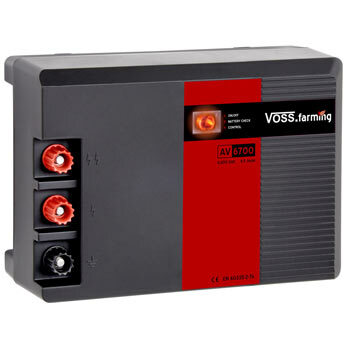 power supply: Which kind of power supply is used (fixed voltage, battery, solar technology)? 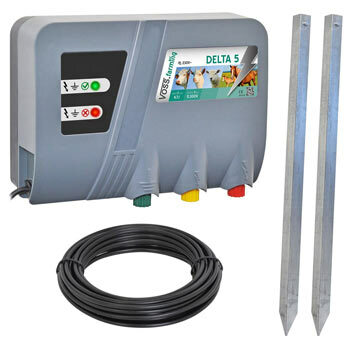 The general rule is: The higher the number, the more powerful the unit and the better the reliability of the electric pasture fence or the pet fence. 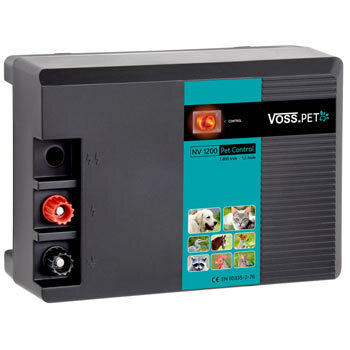 Low voltage levels are sufficient for small animals, short fences and simple constructions. But there should never be less than a minimum fence voltage of 2000 volts. People, on the other hand, who keep cattle or goats or look for an energiser which is suitable for horses should choose a higher voltage of about 4000 volts for the electric fence. 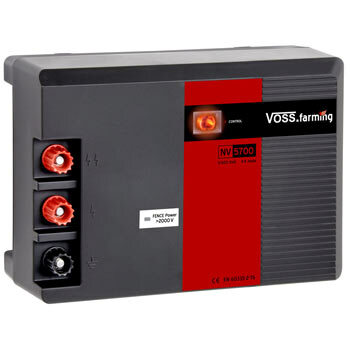 Units generally operate with 8000 - 12000V, while special applications require a reduced energy release of 2000 - 4000 volts. This is particularly used to deter martens. The marten fence in our shop functions on the same principle as an ordinary electric fence. Farmers and hobby farmers with livestock need to take into consideration which species is to be guarded. The size and the body mass are very important factors. Electric fences with a high voltage level are also recommended if there is a bigger amount of vegetation. High grass reduces the power of the electric fence by touching the fence and conducting energy away. If this is a problem, higher volt and joule levels should be considered. As a result of the EU regulation from 2012, you will not find vegetation destruction as you know it from the fencers of the 1980s and 1990s anymore. A reduction in the performance of the fences has also been carried out in order to make them safer for animals. There should be a minimum voltage of 2500 volts to ensure a reliable functioning of the electric fence. 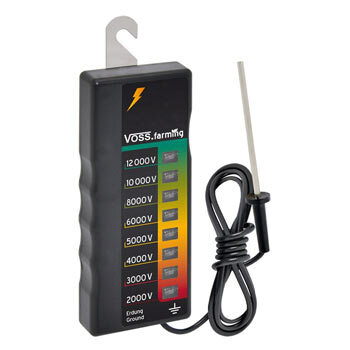 Some specify this voltage minimum as 2000 volts (2 kV), although this level would be required at any place on the entire fence. These numbers apply to animals on farms which are easier to keep, for example cattle, horses and pigs. You can also count cats, dogs and other pets which can be kept in the garden to this category. All these animals have in common that they are used to being contained by a fence from a very early age on and, thus, are quickly "trained" by the electric shock from the fence. They generally have a short, not too thick, fur which is why the pain sensitivity is higher and their reaction stronger. The electric output of 1,5 joules is recommended by many as a standard, e.g. at an electric fence for horses. Which voltage is required if a fence system is needed for wild animals? They are usually not used to electric fence systems, are exposed to harsh living conditions and are, therefore, tougher. Wild animals additionally have a thicker, longer fur to protect them against all kinds of weather conditions which means that they hardly feel weaker impulses. A minimum voltage of 4000 volts is recommended in this case. Sheep and goats (because of their hair coat), big game, other wildlife which needs to be deterred as well as poultry, like chickens, belong to this group. A medium output energy of 3-5 Joules is sufficient. Martens, raccoons and birds belong to a special group, like when you need to install a system to deter pidgeons. 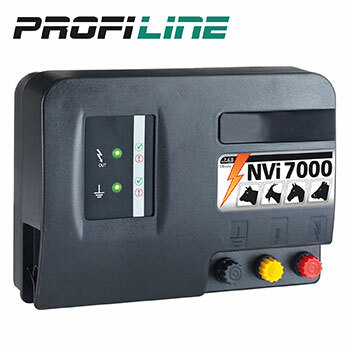 There are specialized electric fences available in our shop which operate on a plus-minus principle and reduced power output, for those cases. If you pay attention to the symbols when choosing an energiser, it will be much easier for you to find the right one quickly. Next to voltage and joule levels, you can also quickly find the (maximum) length of the fence and the animal species they are suitable for. Details, such as "for fences of a medium length with light vegetation" or "suitable to deter small animals" show you what the energiser is suitable for at one glance. What kind of energiser is suitable for sheep? Here the selection of energizers which are suitable for sheep: energiser. Physical characteristics like the thick wool which means no or little contact of the fence to the skin as well as the thin, hoofed claws, which are responsible for a bad return of the electrical pulse, have been considered for this selection of energisers. What kind of energiser is suitable for chickens? 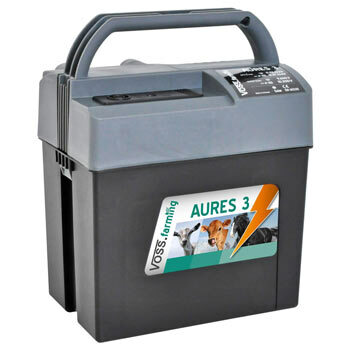 Here the selection of energisers which are suitable for chickens: pulse units. These energisers have been selected, considering the bad conductivity of feathers- as well as the thin, horned legs, which are characteristic for chickens, and condition a poor return of the electronic pulse. Which energiser is suitable for horses? In order to enable the best conditions for fence reliability, the focus has been placed on the size of the animals as well as the thickness of the hair coat. These factors need to be balanced by the power supplied by the pasture fence energiser. Which type of energiser is suitable for ponies? The focus for the selection of energisers has again been placed on the size and the thickness of the haircoat. Only if these factors are balanced by the supplied power, will the fence reliably keep the animals enclosed. Ponies, in particular, need an extra portion of power which is why the customer should look for a slightly stronger energizer. Which energiser is suitable for goats? Goats belong to the kings among the escapees. Which is why you have to pay particular attention to the impact strength of the energizer. The goats need feel respect for the fence immediately. Because of their playful, curious but also intelligent mind, they will regularly test the proper functioning of the fence and use every chance if the device or the fence is not operating fully. Which energiser is suitable for cattle and cows? The selection of the energizer depends on the three different groups. The group consisting of normal cows is easy to control. Wild and robust cattle, like Galloways, are more difficult to control and mother cows, due to their instinctual behaviour, are very difficult to keep fenced. You need to select your electric fencer based on the pulse energy which is required for the designated group. 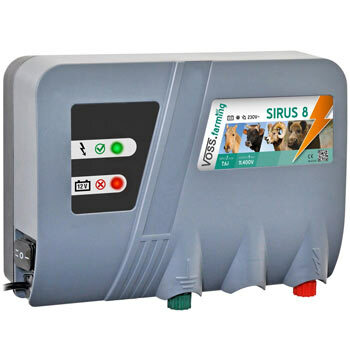 What is important when buying an affordable energiser, next to the pulse energy in joule and voltage? 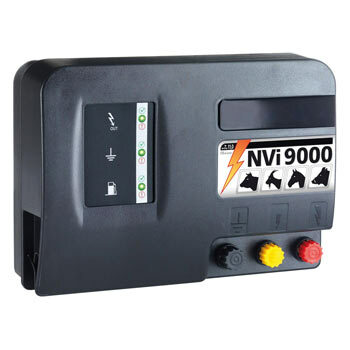 The power supply, of course, because an electric pasture fence can only do its job well if it is provided with sufficient electricity. Ideally, the electric fence would be installed in the vicinity of a 230 volt terminal for the electricity supply. An underground cable can bridge a distance of up to 200m. Only if the distance is beyond these 200m, an electric fence battery device should be selected. This is usually not the case, unless a pet fence is installed in the garden or a small fence system is installed near a farm. That energisers get equipped with a battery or a rechargeable battery is more often the case. 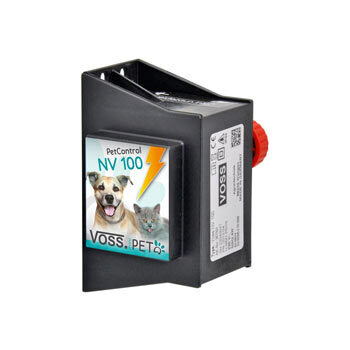 Such a battery always comes into play when there's no 230 volt terminal available for the electric fence, though more attention should be paid to the quality products with long-life batteries and long-life rechargeable batteries. Beginner products are, for example, a 9 volt energiser which is sufficient for small fence systems and animals which are easy to control. 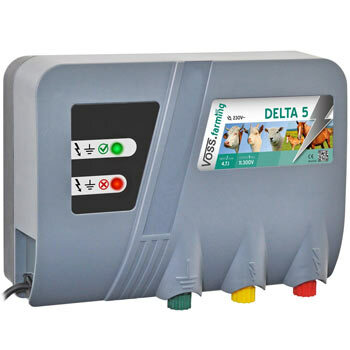 Such battery-operated products enable the electric fence energiser to be lighter and, generally, easier to use. 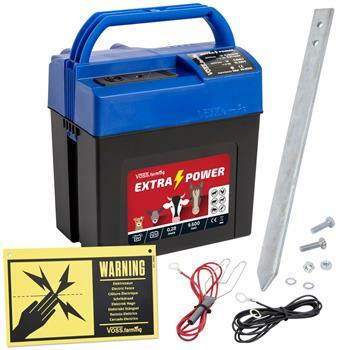 A 12 volt charger is designed for normal to strong use. 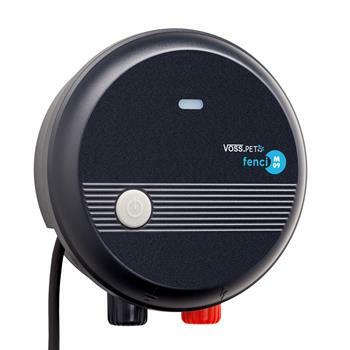 Duo-energisers enable the customer to use 9V and 12V energiser batteries, and it is also possible to use a combination of a mains energiser and battery device. 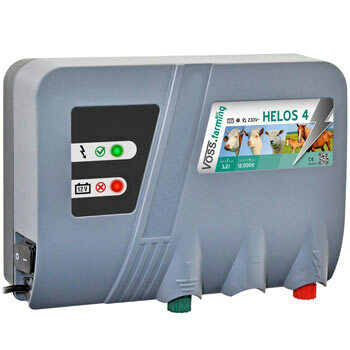 Both, mains energisers and battery-operated energisers feature a variety of functions and product specifications since it is not only important that the fencer is doing its job, but also that the user is able to operate and control it. Modern energisers in our online shop offer various additional features, ranging from digital display, integrated alarm function and telephone transmitter to electronic power control, remote shutdown, battery check to read the charge level and text-message control. 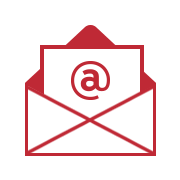 There are specialized products available for horse paddocks or protection from wild animals as well as effective beginner models of electric fence energisers which can be used for the garden or e.g. dog runs. 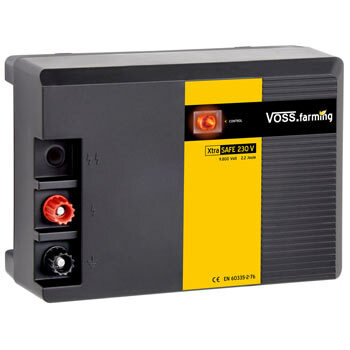 A very popular choice are the self-correcting models, which keep up the required voltage in case there are disturbances on the fence. 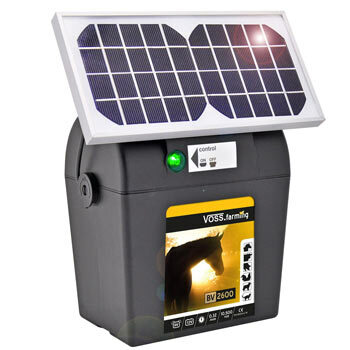 Solar technology is a new highlight among the electric fences for horses and co. 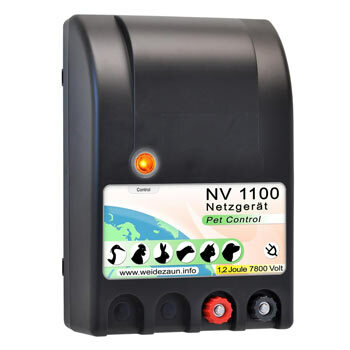 Instead of relying on a mains adapter or a battery, the energiser is supplied with solar energy. This is considered a cost-effective and environmentally friendly method. A battery operating electric fencer combined with a solar panel is efficient and often a longer lasting option. There are solar electric fence systems available for small 9 volt devices as well as for large 12-volt devices. The batteries recharge themselves in seasons with enough sunshine so that external recharging is only required in the winter months. If a solar panel is combined with a non-rechargeable battery, the fencer only uses the electric fence battery at night. 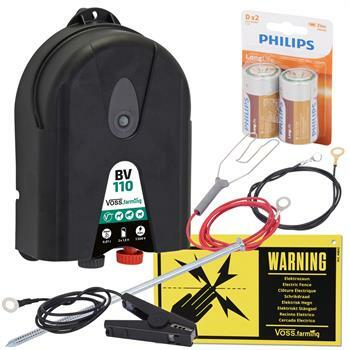 The advantages and savings are even higher with rechargeable battery units. Ideally, a solar system is chosen in a set which includes a boxwhich can be carried and accessories.